Over of the course of the last few years of FFXIV, Blue Mage has consistently been one of the most requested jobs. This was amped up even additional once Samurai and Red Mage - two incredibly iconic jobs - lastly got added to the game as of Stormblood. Revealed throughout the Shadowbringers announcement keynote, Blue Mage will probably be out by patch 4.5, releasing early subsequent year. 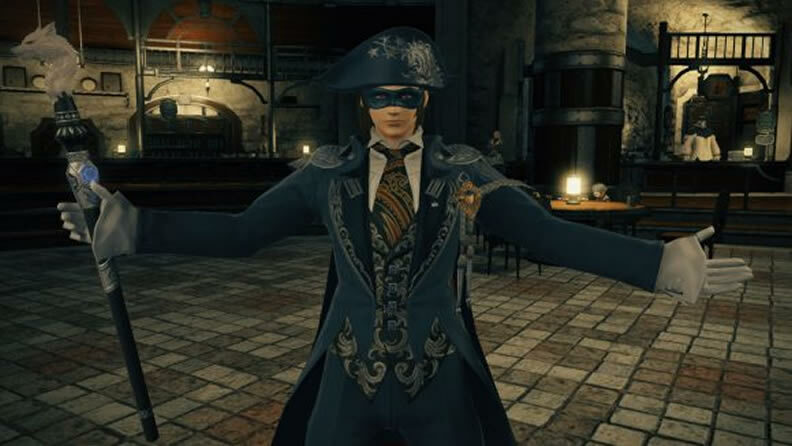 One of the most requested jobs for future Final Fantasy XIV expansions has been Blue Mage because FFXIV players just can't get more than their obsession with FFXI job classes. And to become fair to them, Blue Mage is a fairly sweet job. Unlike other mage classes, Blue Mages had been defined by the sheer ridiculous variety of spells they could understand, and they discovered these spells by defeating enemies. Like FFXIV's Red Mage, FFXI's Blue Mage was a hybrid melee-magic class that saw players making use of curved swords in melee combat and using devastating ranged magic spells discovered from various monsters they'd defeated. Blue mages had a wide variety of spells offered to them, but could only "set" a particular number of spells ahead of entering combat. This gave BLU players a crazy quantity of versatility and customization options, and together with the format of FFXI, the truth that they learned abilities by fighting enemies was pretty amazing and fit in rather effectively with the game's base style. When you feel tough in the game because lack the Ffxiv gil, there are some cheap Ffxiv gil for sale on ffxiv4gil.com, we provide you with a trustworthy trading platform where you can quickly purchase the item that you want without any delays or risks involved. Shortly after the FFXIV team revealed the third Shadowbringers expansion that will hit early next summer time, Square Enix also revealed that Blue Mages would come towards the game too. Today we can confirm that BLU will hit FFXIV sometime early subsequent year as a part of Patch 4.5. The very first part of Patch 4.5 A Requiem for Heroes will hit in early January 2019 although the second part will come in late March. Blue Mage will probably come with the March patch, provided its complexity. What we do know in regards to the Blue Mage expertise so far is quite uncomplicated. The Blue Mage job will give a "unique solo gameplay encounter where players will discover all of its skills by fighting monsters." Blue Mage, like Red Mage and Samurai, are going to be readily available for all players that have completed the principle situation of Final Fantasy XIV: A Realm Reborn and have leveled a Disciple of War or Magic to level 50. In contrast to RDM and SAM, Blue Mages will start at level 1 and may only progress up to level 50 as BLU is a "limited" job. Additionally, some blue mage-exclusive job content will also be released with patch four.five. The Masked Carnivale will deliver more challenges to players when they've reached the BLU level cap. The Masked Carnivale, if we had to guess, is most likely some kind of instanced duty made solely for Blue Mages. And, in case you missed it, the Shadowbringers expansion is set to bring a slew of new content for the MMO when it releases in Summer time 2019. Like the Heavensward expansion, we'll get a brand new player race in conjunction with new jobs, an improved level cap, new locations to explore, adjustments to the battle program, as well as a variety of new content material for a variety of the currently existing combat, crafting, and gathering jobs. The new jobs for Shadowbringers haven't been announced, but given that BLU is hitting prior to Shadowbringers, it really is likely we won't see two DPS jobs drop together with the new expansion. Square Enix might be sharing a lot more facts around the new expansion at the Paris Fan Festival, that is set for February 2nd and 3rd. The final information will likely be revealed in Tokyo on March 23rd and 24th.